Mick Stevenson (2011) lists both one sided test pressings (that is one record with side 1 and another with side 2) as well as ordinary test pressings. 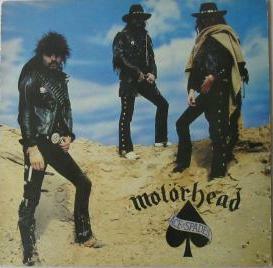 I have seen a copy on a record fair in Sweden with white labels and a very faint Motorhead stamp on the label housed in an ordinary UK EMI sleeve. I really wish I would have bought it but I did not! The copy mentioned on the swedish record fair cost 600 swedish crowns in 2003.